We’ve all heard of the magical invention that is Google Earth. It’s the perfect tool to spy on people without it actually being illegal in any way, shape or form. Not that you should stalk your nextdoor neighbour – I’m just pointing out that you totally could. 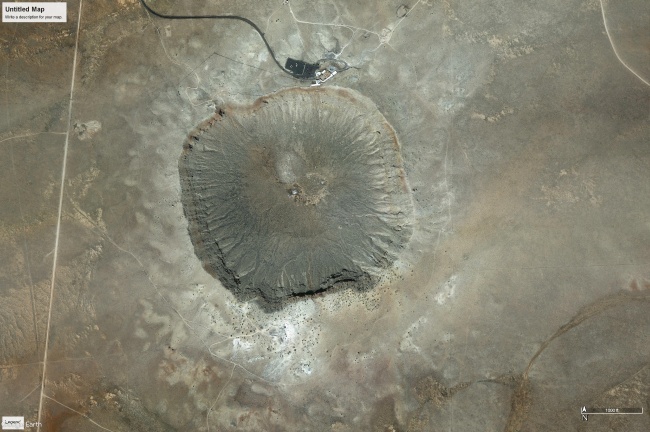 With the invention of Google Earth, many things have turned up on their satellites that have been quickly found by enthousiastic internet dwellers who have the vast amounts of free time needed to actually find anything weird and specific on, well, our planet. I mean, I know the names of quite some countries and a few streets in a five mile radius from my house, but I wouldn’t be much good at finding something that’s hardly bigger than a house in the Sahara desert. 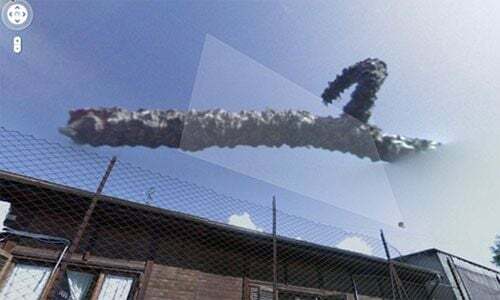 Let’s take a look at some things that have been uncovered on Google Earth. Just to save you the effort of having to look for them yourself. 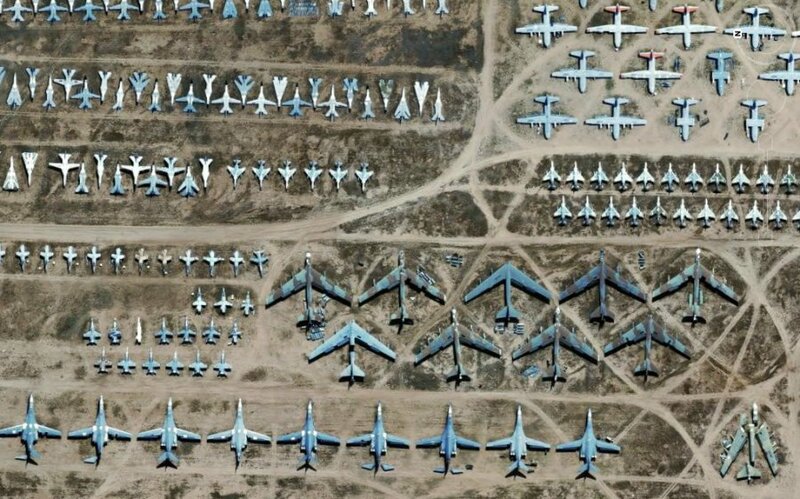 This is where military aircraft goes to die and/or get photographed by Google’s sattelites. It only makes sense that any country close to Australia – the spider headquarters of the world – would have some sort of monster in their local fauna. 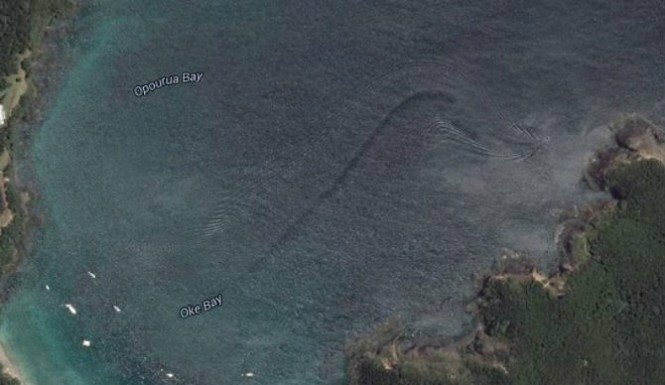 Google Earth found a snake-like creature in the waters of New Zealand, too fast for a whale and too large for a shark. I guess this must be Aquaman. I mean, a really big version of Aquaman. That’s the only reasonable explanation. 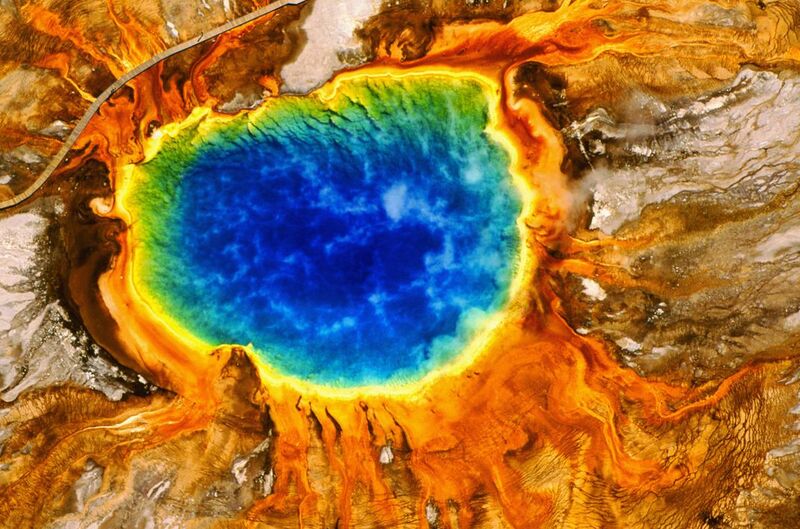 Well, it’s where a meteor impacted with planet Earth. Not sure what else you want me to say about it. This one was noted in 2007. 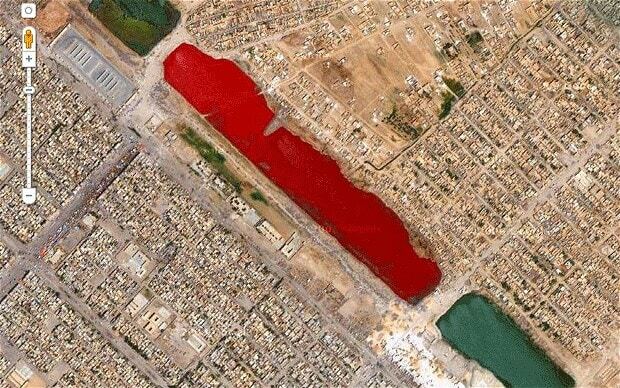 Having a blood-red lake show up in your country during that time is sure to evoke a fair share of speculation. Considering the time these were made, why are they even a thing? There were no airplanes back then. I guess the aliens needed some kind of sign to know they were at the right place. They mastered interstellar travel, but not the GPS. This one is called “prismatic” because of the fact that its colors look exactly like a rainbow. I guess calling it the “Pink Floyd’s Dark Side of The Moon Spring” was a bit too much. 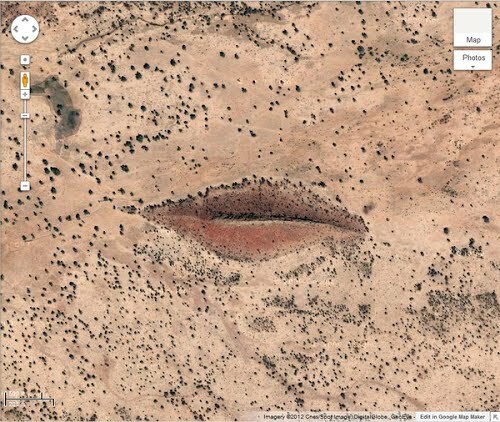 While it might look like a pair of lips, it’s actually a hill formed by two rocky ridges. Let’s be real here: this was an alien spacecraft looking for the Nazca Lines. Those interstellar GPS’es are worthless.